To celebrate the relaunch of the One Star, the global Cons skate team visited and demoed shops and skateparks in 23 cities, 21 countries and 4 continents over a 5 month period, from June to November 2015. 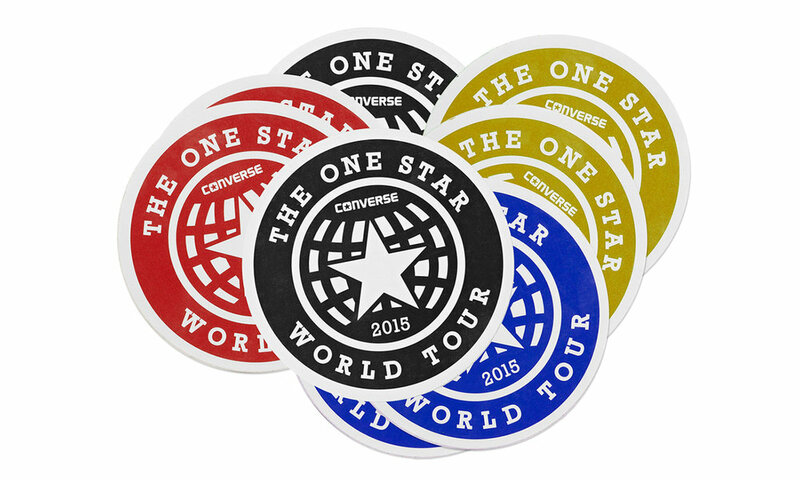 The One Star World Tour created personal connections with core consumers, often in grass roots skate scenes, in secondary markets in every region helping Cons harness the power of influencers with 2,731 dedicated Instagram posts to date, over 8.7 million impressions, and an average engagement of over 5,000 likes and comments per post while growing the Cons Instagram subscribers by over 100%. The project culminated in a documentary photo book and a 27 minute feature length skate video. A real world brand experience with lasting impressions as many people only experienced it digitally it reached 85,000 views in the first month on the global Converse youtube channel. Advanced copies of the official video and a limited number of premium gifted books were then sent back to the hosts of each stop on the tour with support to throw a video premier for their local skate scene, continuing to celebrate the consumers and independent skate shops that support skateboarding and the brand.